In 2017, Kering, the parent company for luxury fashion brands including Gucci, Saint Laurent and Alexander McQueen, announced it was going to establish its own python farm in Thailand. The aim was to bring python skin production in-house by 2018, following criticisms that the company could not guarantee that the python skins used in the production of handbags, belts and shoes were sourced legally and sustainably. To find out why these criticisms had such force, we need to look further into the global political economy of the illegal wildlife trade. The poaching and smuggling of wildlife is often attributed to poverty or criminality. A 2014 study on elephant poaching by conservation groups, for example, found that in localised areas of Africa the biggest single correlate with poaching was infant mortality, which was taken as a proxy for poverty. 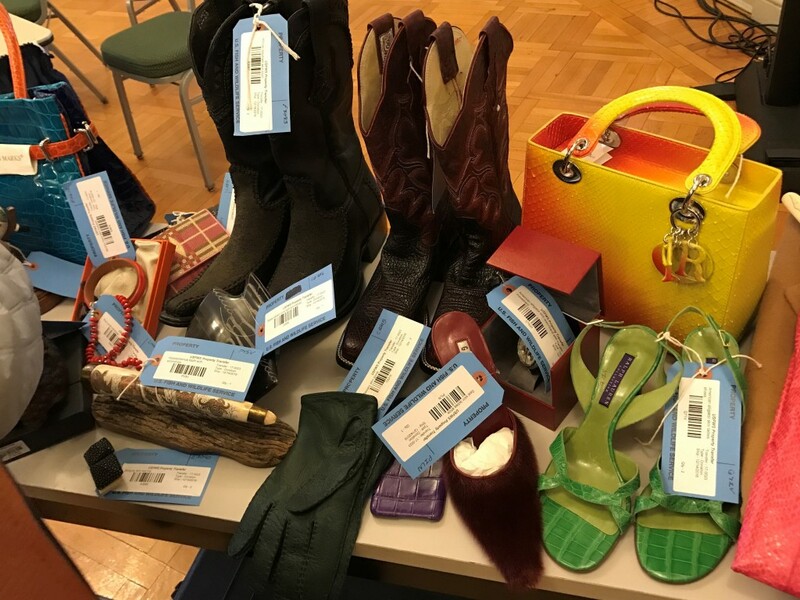 Other organisations, like the UK-based charity Environmental Investigation Agency, put more emphasis on the role of organised traffickers and corrupt officials. Both of these approaches have their practical problems and they miss the critical importance of wealth and inequality. Poverty reduction doesn’t necessarily lead to reduced poaching, especially if the hunting of animals is done for cultural and political reasons too, while militarised responses to criminal activity can heighten insecurities for surrounding communities, as indicated in the Rainforest Foundation UK video below. Grappling with these should be a greater priority for conservation groups, governments and international organisations concerned with the negative impacts of the trade in wildlife. 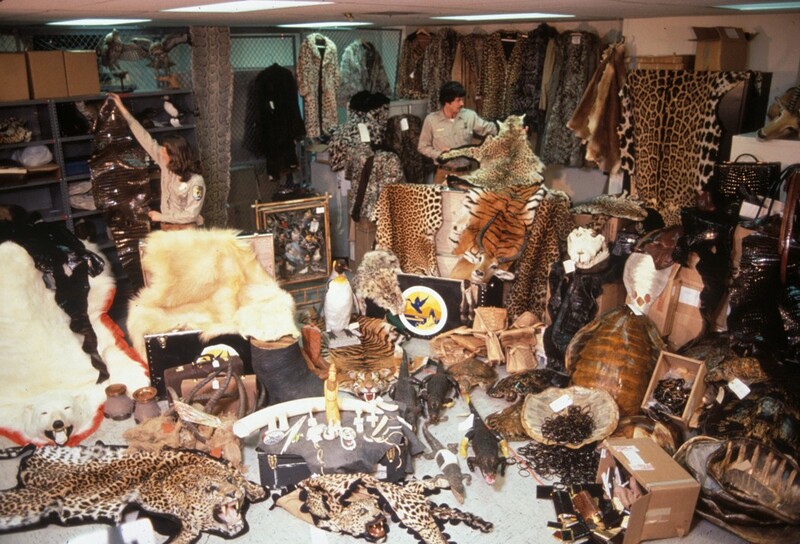 The illegal wildlife trade is big business. The range of estimates from international organisations including the OECD, INTERPOL and TRAFFIC-International put it at between US$7-23 billion annually. Of course it is difficult to give it a precise value because it is, by its very nature, in the shadows. Profiles of demand and supply can also change rapidly, and the illegal trade is often mixed with a legal trade. In recent years, the rising poaching rates for elephants, rhinos, tigers and pangolins have hit the headlines. Such levels of international attention were last seen in the late 1980s, when concerns about plummeting elephant populations in Africa led to the global ban on the ivory trade in 1989. Elephants, rhinos and tigers get most of the attention, and are referred to as ‘charismatic megafauna’; they are high profile large animals beloved of (especially Western) publics. But the wildlife trade encompasses a much wider range of species, which Bob Smith and colleagues have called ‘Cinderella species’. These species are less well known, not as cute or majestic, and are traded every day, around the world, as pets, food, jewellery, clothing and medicines. This implicates far more people, including those based in the Global North, in the illegal trade. Let’s take the little known Vietnamese psychedelic rock gecko as an example. Global trade in this species was banned in 2016 by a decision made under the Convention of the International Trade in Endangered Species (CITES). In force since 1975, this is the main international body responsible for governing the wildlife trade, legal and illegal, and has 183 states signed up as parties to it. In the run-up to the CITES Seventeenth Conference of Parties concerns had been growing that the rock gecko was being pushed to extinction by a growing demand from the pet trade. Anecdotally, live pairs were offered for approximately €3,000 at reptile shows in Europe and Russia. 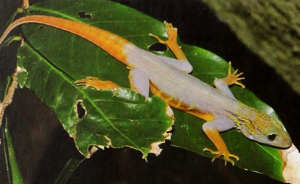 Implicitly acknowledging the role of European consumers in generating demand for the gecko, it was the European Union that jointly tabled a motion with Vietnam to place the animal on the CITES ‘Appendix I’ banned list. Put simply, then, the illegal wildlife trade it is part of the fabric of patterns of global consumption (sometimes literally so, in the case of python skins). While China is commonly identified as ‘the problem’ by conservationists, it must be recognised that the European Union and the USA are the top three markets for illegal wildlife products. As such, it is just as important to reflect on the ways that Europeans and North Americans purchase illegally traded wildlife products, often unwittingly. For example, Southeast Asian pythons are listed under CITES Appendix II, which means a legal, monitored trade is permitted under certain conditions. A shipment of 10,000 python skins can be worth US$ 900,000 on the international market. Each year approximately 350,000 python skins are exported, the majority from Indonesia and Malaysia. However, an estimated 73% are sourced from the wild, rather than being captive bred. Skins from pythons, caught illegally in the wild, can be easily concealed as part of shipments of legally farmed skins; consignments can be deliberately mislabelled or wrongly declared to avoid inspection by customs officers. Stockpiling and re-export also add to the layers of complexity. For example, traders in Singapore sometimes stockpile skins imported from other countries in the region, for re-export to Europe in the future. But all this begs the question: why are Asian python skins in such high demand that it is worth taking the risks of trading them illegally? The demand is primarily from the high fashion industry, which serves a luxury market of wealthy consumers. A leather handbag made from only half a South East Asian python skin can be sold by a luxury fashion retailer for between US$ 5,000 to US$ 10,000. Illegally hunted snakes, taken from the wild are initially sold for slaughter for US$ 30; this figure is a significant amount of money to the hunter, but it is only 0.5% of the final value of a high-end python skin handbag. Additional value is added to the snakeskin when the snake is slaughtered and the skin is dried, ready for processing; more value is when it is in the tannery, and then again when the processed skins are finally crafted into boots, belts and handbags primarily in Italy, France, Switzerland, Germany and Spain. Finally, when the product enters the shops and is sold to wealthy clients, the retailer helps make the product more expensive again. Reptile skin goods. Photo courtesy of Dr Meredith Gore. It is this cumulative valorisation of python skin that sustains the illegal trade, making profit possible. And so although companies like Kering might try to prevent the use of wild animals in their products, by creating economically valuable commodities out of snakes they continue to contribute to the reproduction of incentives for poaching. Poverty and crime are not the only drivers. The attempt to organise a legal and sustainable source of python skins raises another question about the global political economy of wildlife: should it be commodified at all? Many animals are bred for their body parts including flesh and fur, or for their attributes as living creatures, including their labour power. From the late 2000s there was an increasing faith in market based approaches to wildlife conservation, underpinned by the idea that if the economic value of nature could be clearly shown and priced in, then conservation would ‘pay its way’ and therefore succeed. This was accompanied by ideas and initiatives such as Natural Capital, The Economics of Ecosystems and Biodiversity, payments for ecosystem services and biodiversity offsetting. In wildlife conservation the most obvious expression of this is the development of ecotourism as a means of conserving wildlife. It relies on the idea that wildlife and their habitats will be conserved in the face of pressure from other forms of economic development, precisely because tourists would be willing to pay for the experience. It is presented as a ‘win-win’ – ecotourism can save nature and generate economic development in one neat package. Elephant back riding in Nepal. Attributed to MMuzammils. This is clear in the development of ‘last chance to see tourism’ through which capitalism makes a commodity out of the very crisis it has produced: pay to see low lying coral atolls or polar bears before climate change wipes them from the face of the Earth. 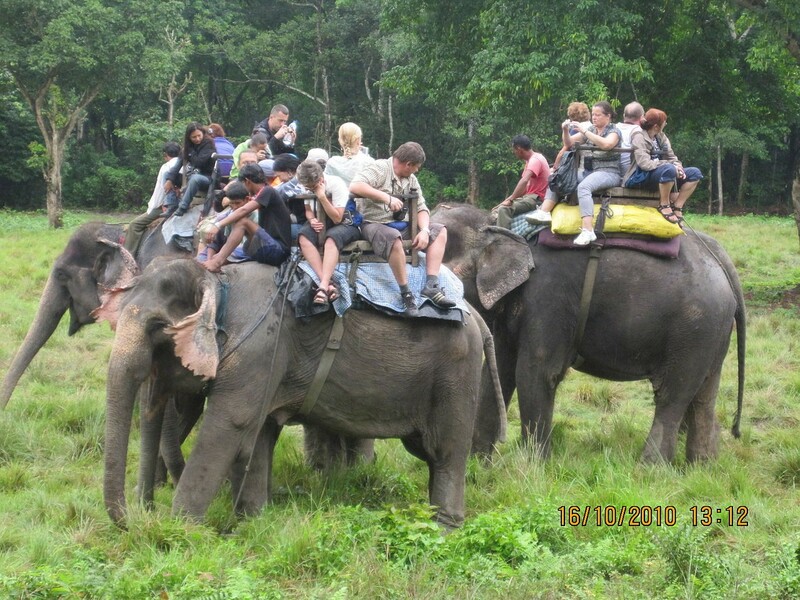 Such forms of commodification are also discernible on the massive growth in selling interactive and bodily experiences with animals in tourism: riding or walking with elephants is perhaps the most common, but tourists are also sold products which allow them interact closely with lions, orangutans, gorillas, tigers, ostriches and cheetahs to name a few. As Fletcher and Neves point out, the human body itself can then become a site of endless capital accumulation, since the experience can be purchased over and over again. Elliot, L. and Schaedla, W. (eds) (2016). Handbook of Transnational Environmental Crime. London:Edward Elgar. Duffy, R. (2010). Nature Crime: How We’re Getting Conservation Wrong. New Haven, CT: Yale University Press. Haenlein, C. and Smith, M. L. R. (2016). Poaching, Wildlife Trafficking and Security in Africa: Myths and Realities. London: RUSI Publications. Duffy, R. and Humphreys, J. (2016). ‘I. Poaching, Wildlife Trafficking and Human Security’. Whitehall Papers, 86 (1), pp. 22-37. Fletcher, R., and Neves, K. (2012). ‘Contradictions in Tourism: The Promise and Pitfalls of Ecotourism as a Manifold Capitalist Fix’. Environment and Society, 3, pp. 60-77. Smith, Verissimo, D., Isaac, N. and Jones, K. (2012). ‘Identifying Cinderella Species: Uncovering Mammals with Conservation Flagship Appeal’. Conservation Letters, 5, pp. 205-212. Duffy R (2014). ‘Interactive Elephants: Nature, Tourism and Neoliberalism’. Annals of Tourism Research, 44, pp. 88-101. BIOSEC website: the project critically examines the recent claims that wildlife poaching and trafficking constitute a serious global security threat. Kasterine, A., Arbeid, R., Caillabet, O. and Natusch, D. (2012). The Trade in South-East Asian Python Skins. Geneva: International Trade Centre. Nellemann, C., et al. (eds.) (2016). The Rise of Environmental Crime – A Growing Threat To Natural Resources Peace, Development And Security. Nairobi, Kenya: UNEP-INTERPOL Rapid Response Assessment.